Key art for Star Wars Resistance. After Star Wars Rebels came to an end earlier this year, we knew the next chapter of Star Wars animation was close, and now we know exactly what it is. And it’s extremely exciting. The new chapter in Lucasfilm’s world is leaving behind the age of the Rebellion to tell a new saga set in the run-up to Star Wars: The Force Awakens. Announced by Lucasfilm today, Star Wars: The Clone Wars and Rebels producer Dave Filoni’s next project will be Star Wars Resistance. Set in what is described by the company as an “uncharted time frame prior to The Force Awakens,” the “anime-inspired” Resistance will follow a young pilot named Kazuda Xiono, recruited by General Leia Organa’s burgeoning Resistance for a top-secret surveillance mission to survey the growing power of the First Order. The series will focus on Kazuda and a cast of ace pilots, but will also feature familiar faces from the sequel trilogy in the form of BB-8, Poe Dameron, and Captain Phasma, with both Oscar Isaac and Gwendoline Christie reprising their respective roles for the series. 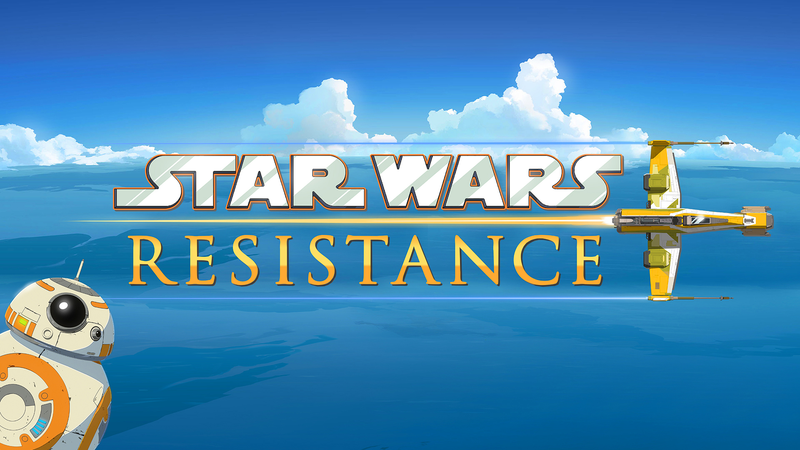 Star Wars Resistance will feature a voice cast alongside Isaac and Christie that includes Christopher Sean, Suzie McGrath, Scott Lawrence, Myrna Velasco, Josh Brener, Donald Faison (a big Star Wars fan, we should note, especially Rebels), Bobby Moynihan, Jim Rash, and Rachel Butera. Star Wars Resistance will run on the Disney Channel this fall, as well as airing on Disney XD at a later date. We’ll bring you more on Star Wars Resistance as we learn it. What are your thoughts on the newly unveiled details?